His water doesn’t destroy you rather His water revives, restores, replenishes, and purifies you. His fire destroys everything that is not of Him He purifies and fills us with His power. 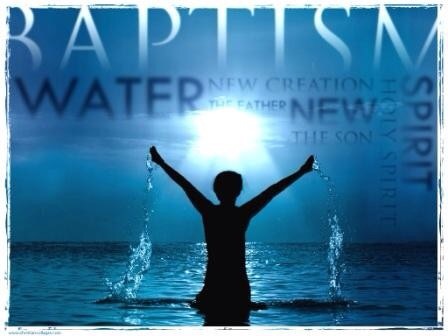 Is baptism necessary yes for every believer it is, but there is more to baptism than to just being baptised symbolically with water. When we are baptised something must take place, and that is why it must start with your own will, and expectation. It involves a refilling a revival. Do you expect to see more of God? When John the Baptist baptised Jesus something took place it was not just a symbolic act, He was filled something happened. That same thing must happen when we are baptised. There is something called baptism of fire something that I did not encounter up until last year. 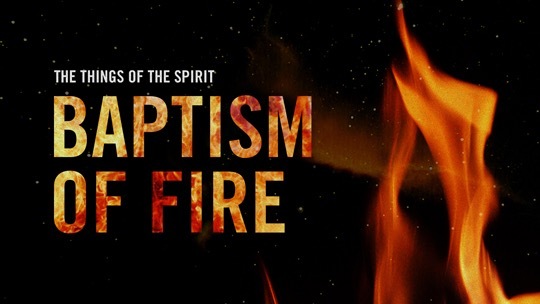 It’s like the whole theme for my 2014 was ‘Fire.’ Many believers and non believers are not aware of the baptism of fire we are more familiar with the water baptism as a baby or when we are older and ready to make our own choice. I want you to understand that there is more to this. When you read the whole of Matthew 3, you will understand most particularly Matthew 3:16. Baptism involves the Holy Spirit, a rebirth. If you are baptised but you have no idea of who the Holy Spirit is then something is wrong. 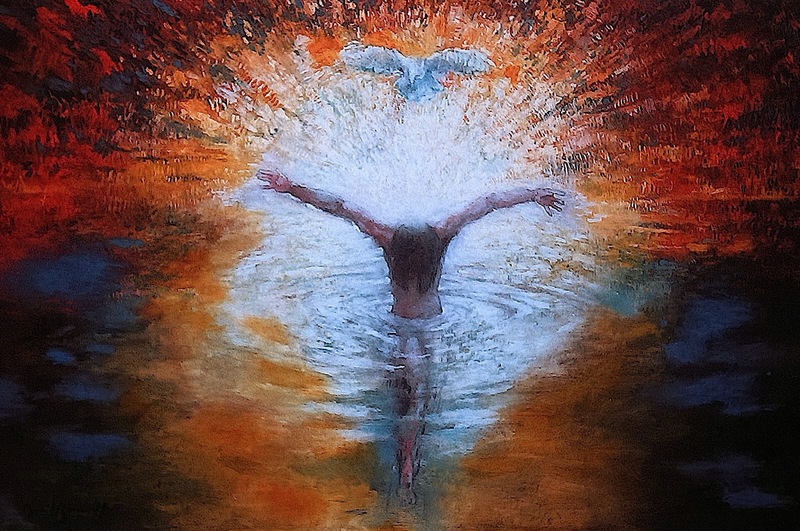 There is no baptism without The Holy Spirit. Yes water symbolises cleansing and we are cleansed, we have been redeemed by the Blood of The Lamb, but many are perishing for lack of knowledge because they do not know Jesus, sure they are baptised but they do not know Him. How easy has it become to receive a baptism certificate? I had one when I had no clue what it was all about. I guess you could say I was initiated into the Catholic Church. I thank God I was baptised but I was at an age whereby I did not understand why I was being baptised, and maybe this is why first holy communion is later done, and then confirmation and that’s great but even after I had my first holy communion I believed and I loved God, I didn’t know Him. We can only know God once we have an intimate relationship with Him. I was baptised again when I became born again in my early teens, that was my own choice. I later received the gifts of tongues, and that’s important. Yes, it’s important because that is a gift of the Holy Spirit. Jesus had an encounter with the Holy Spirit, The Holy Spirit ascended on Him when He was baptised, and the windows of heaven opened, if it happened to Jesus then it must happen to you and I. It will only happen when you desire to know Him, there is more to baptism than water. There must be a receiving of His Power. Knowing Jesus is knowing yourself, it starts with His Word. Encounters. Every believer should have an encounter with God. It might not necessarily be the same encounter, but we must encounter His presence. My personal encounters was when I became born again, when I was baptised the second time and later received the gift of speaking in tongues, when I attended a women’s fellowship meeting and a sudden mighty gush of wind consumed me, and then when I received the baptism of fire at my youth retreat(I go into more details about this in my blogpost DaFruits of the Heart of Fire.❤️, and DaFruits of Spiritual Gifts.❤️). These encounters are based on The Word of God. To be born of The Spirit means we must bear the fruits of The Spirit. When one is born of The Spirit they must walk according to The Spirit. The flesh bears no good fruits, and The Lord said you will know them by their fruits. What fruits are you bearing? There is more to baptism than water, I’m not necessarily saying that water is not of importance, but you must receive His Spirit, and bear His fruits. 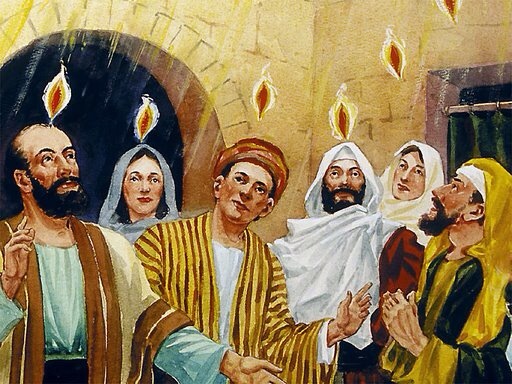 Do you know that the disciples encountered His fire, they encountered and they received. Similarly, symbolically I remember when I was at the women’s meeting my head was tapped and so were other women’s we all experienced different encounters some screamed, some spoke in tongues, some sang, some burst into tears, and I breathed heavily as I felt a mighty wind consume me and overtake me. At the time I thought that this was the baptism of fire, but it was not it was the baptism of the wind of the Holy Spirit. At the youth retreat I received the baptism of fire, I was totally consumed with His fire and that’s all I could scream and shout of. I began to speak in new tongues, I discovered that I had a new spiritual gift. Tongues of fire, encounters, revelations, visions, gifts. We need to encounter His power. Be baptised in His Spirit, and in His Truth which is His Word. Develop your relationship with Jesus Christ, by knowing Him you will know yourself. Bear His good fruits, and operate in His Gifts.